Academy Central is a major urban regeneration project which we have delivered in partnership with leading London housing association L&Q. 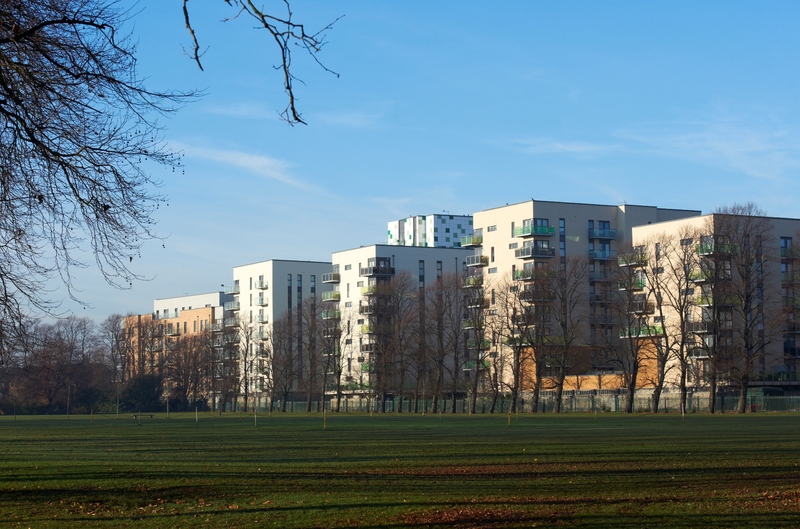 The scheme is playing a significant role in the overall regeneration of the London Borough of Barking and Dagenham and was named ‘Best Urban Regeneration Project’ at the 2012 First Time Buyer Magazine Readers’ Awards. We purchased the Academy Central site from its former occupiers, the University of East London, when it relocated from its Barking campus to London’s Docklands. 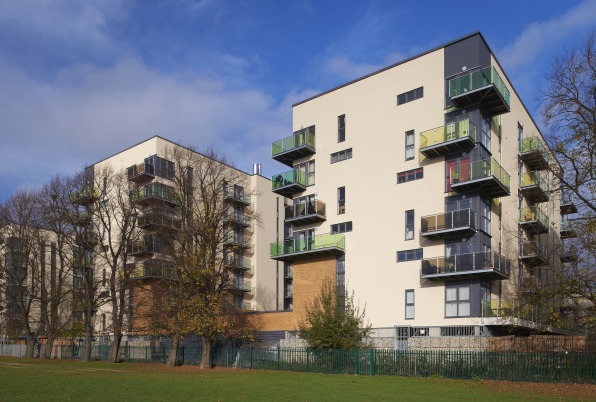 The vision of Academy Central was to create an inclusive community which addressed an urgent need for high-quality, value-for-money homes for people in a range of circumstances, and we worked closely with L&Q (London and Quadrant Housing) to deliver a range of private and affordable homes for all sections of the community. For the delivery of the private homes we formed a joint venture with L&Q. For the affordable homes we sold the required land to L&Q and built the homes for them under a separate ‘design and build’ contract. 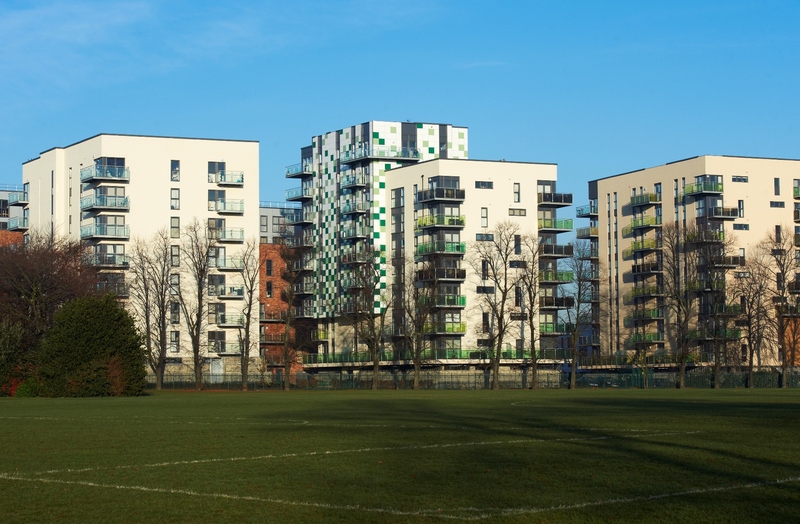 The relocation of the University of East London provided an opportunity to make a significant contribution towards the ongoing regeneration of Barking and Dagenham. 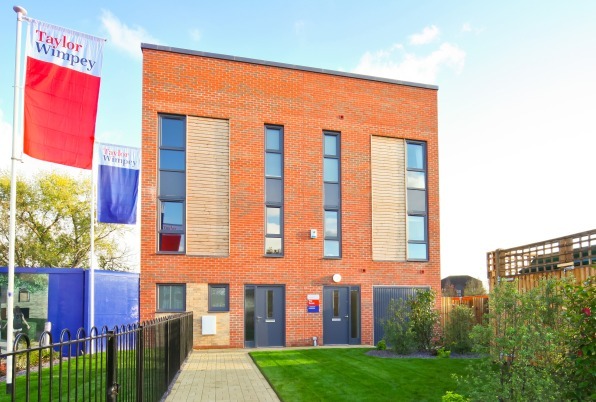 We acquired the site in 2007 and delivered the most high-profile regeneration scheme undertaken by Taylor Wimpey East London in over a decade. As well as providing a range of high-quality homes, we also made significant contributions totalling more than £6 million towards improving community facilities in the local area with our development partners L&Q. Our contributions included providing land and funding for a new primary school, which is now open on site, and we have helped to pay for a brand new leisure centre in the borough. The development also helped to improve access to the neighbouring Mayesbrook Park with tree-lined, pedestrian-friendly ‘green routes’ running through the development and linking with this recreation area. 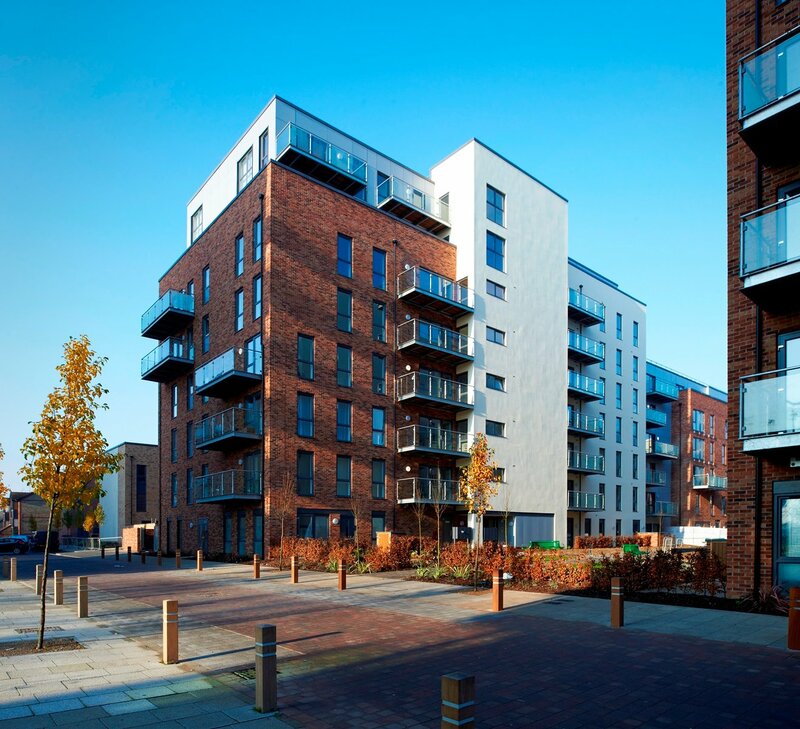 Academy Central was named ‘Best Urban Regeneration Project’ at the 2012 First Time Buyer Magazine Readers’ Awards. The award reflected the role that the development is playing in revitalising the community, providing homes that are affordable to local people and delivering a range of community facilities. Academy Central has a distinctive, contemporary design with seven character areas. The development both complements and enhances the surrounding built environment while making the most of its prominent location next to Mayesbrook Park. The design of the development increases biodiversity within this brownfield site and 936 of the homes have green roofs with local species of vegetation and bat boxes, insect tubes, and hibernation mounds. All of the new homes were built to Code for Sustainable Homes Level 3. To reduce the carbon footprint of the whole development, a district heating system was installed to serve all 1,054 homes and the 620-capacity school, for which we provided the necessary land and funding to the local authority. The energy centre for the district heating system contains a biomass boiler, a Combined Heat & Power engine, and back-up gas boilers. Improvements to the fabric of the homes, such as improved insulation and air-tightness, help to reduce energy consumption. Overall, the energy efficiency measures deliver a carbon reduction of 41.5% compared with 2009 Building Regulations requirements. We also used a range of environmentally sustainable and recycled materials in the construction of the development. 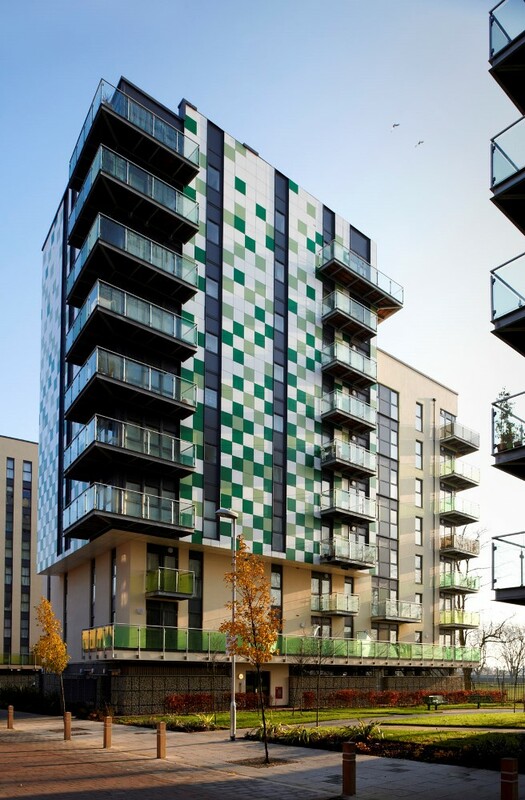 For example, all timber products were certified by the Forestry Stewardship Council (FSC), recycled glass was used in the block paving base, roof waterproofing product was made from recycled car tyres, and blocks contained pulverised fuel ash. Attending ‘meet the buyer’ and ‘meet the supplier’ events on a phase-by-phase basis to give local businesses regular opportunities to tender for works packages and for the supply of materials. While we directly employed our site management team, all other work was carried out by our subcontractors. All our contracts had a clause that committed our subcontractors to provide training and work opportunities to local people wherever possible. Apprentices gained experience on-site in trades, including plumbing and carpentry. On average 15-20% of our labour on the site came from postcodes confirmed as ‘local’ in the Section 106 agreement. As part of our Section 106 planning obligations, we gave £50,000 to the council to help fund its local skills and training programmes. We provided work experience opportunities for local school leavers and in 2012 set a business project for sixth-form students at the nearby Jo Richardson School. Academy Central won Best Urban Regeneration Project at the 2012 First Time Buyer Magazine Readers’ Awards. The award reflected the role that the development is playing in revitalising the community, providing homes that are affordable to local people and delivering a range of community facilities. During the planning process for Academy Central we held several community engagement events. One public exhibition took place over several days and gave local people the chance to comment on our proposals and planning application using a specially designed questionnaire. We also held monthly planning meetings with the London Borough of Barking and Dagenham and the development was a major planning application referable to the Mayor of London. We submitted our planning application in December 2006 and amendments to it were made in September 2007. The Planning Committee granted planning consent in April 2008 and we signed the Section 106 Agreement in February 2009.